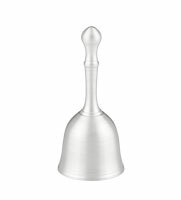 The Hampshire Pewter Teacher's Bell makes a wonderful gift to celebrate the dedication of the teachers in our lives. 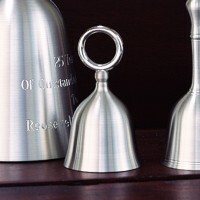 The bell housing is a single cast using our special pewter formula. The wood handle is a dark-stained maple hardwood. We make both pieces in our New Hampshire workshop.